Three good friends and I went to Kansas this past weekend to pick up a cedar chest from Wichita (more on that in another post to come.) 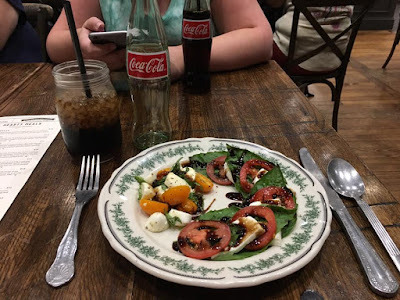 We decided on the way back to visit The Pioneer Woman Mercantile in Pawhuska, OK. Pawhuska, is the county seat of Osage County. 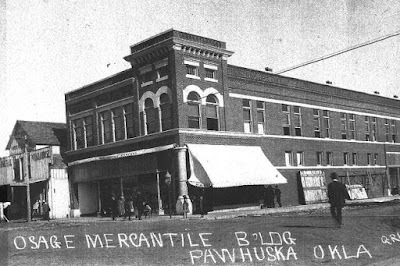 Pawhuska was an oil town and ranch land. Like most small towns in Oklahoma, Pawhuska has a population that has slowly shrunk. In its heyday the town boasted a population greater than 6,000, but today just over 3,500 reside there. 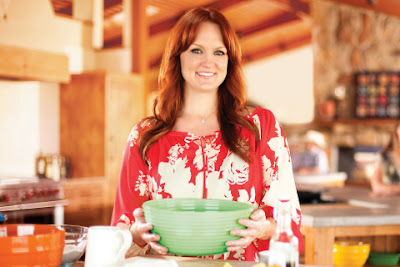 Ree Drummond, aka Pioneer Woman, is one of these folks. Originally from Bartlesville, Oklahoma, Ree married the owner of the Drummond Ranch. 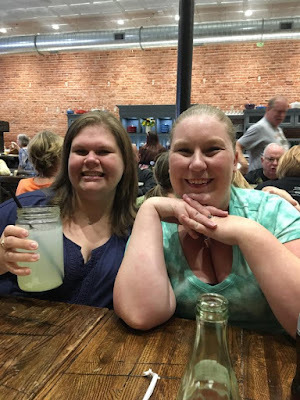 Ree has a great blog, best selling cookbooks, and a television show shot on her working ranch in Pawhuska. Ree and her husband purchased a building in downtown Pawhuska, renovated the space, and preserved much of the character of the vintage building which once housed the original mercantile. Now the building sports a store, restaurant, bakery, and office space. Ree has a way with the recipes and her food is delicious. It is reported over 5,000 people a day visit Pawhuska now to see the Mercantile and as many as 12,000 passed through during the holiday season when they first opened. The items found inside the mercantile are bright, cheery, and have a homey vintage quality. 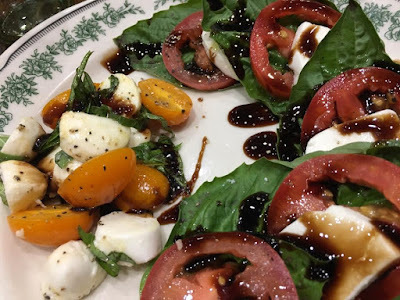 I was able to picture many of the items being used here on my homestead, but my budget didn't allow for many of the things that caught my eye. Prices here cater to the tourist crowd for sure, so save your pennies if you wish to shop. 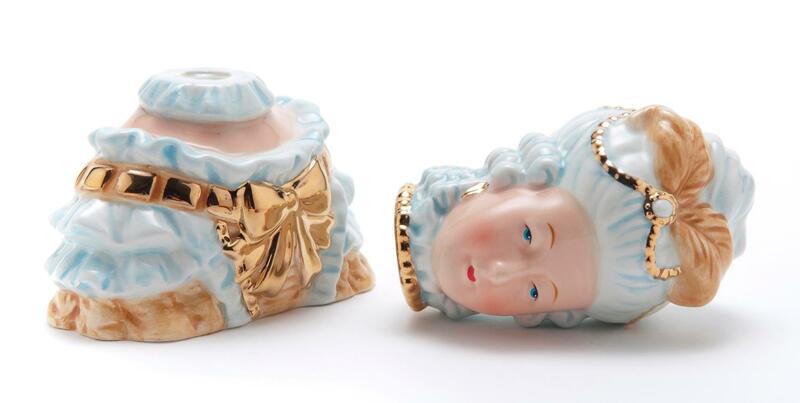 I was drawn to a set of salt and pepper shakers that depict Marie Antoinette. 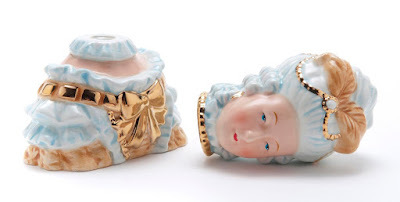 Her head is a salt shaker and her body the pepper. The head connects to the body via a magnet. Highly entertaining for the historian in me. However, the set was $18 and since I live in a tiny house I just enjoyed looking at them, but didn't bring a set home. Another item I adored was a large pillow that is hand embroidered. 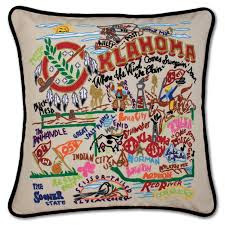 The pillow depicts places and things in Oklahoma. I loved the look and understand them to be hand embroidered, however the $200 price tag made my breath catch. A girl can dream, but the price doesn't fit the budget so that bad boy cannot come live on the homestead. 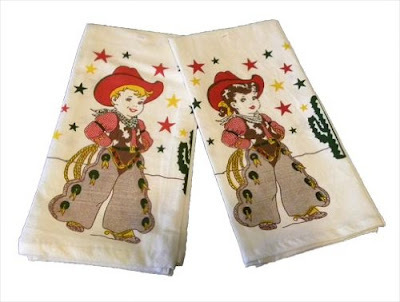 I settled on two kitchen towels that have a vintage style to tuck away in my granddaughter's hope chest. I thought they were very cute, and a just $6 each, they were budget friendly. I saved a copy of the menu which I fashioned an envolope out of to house the towels. 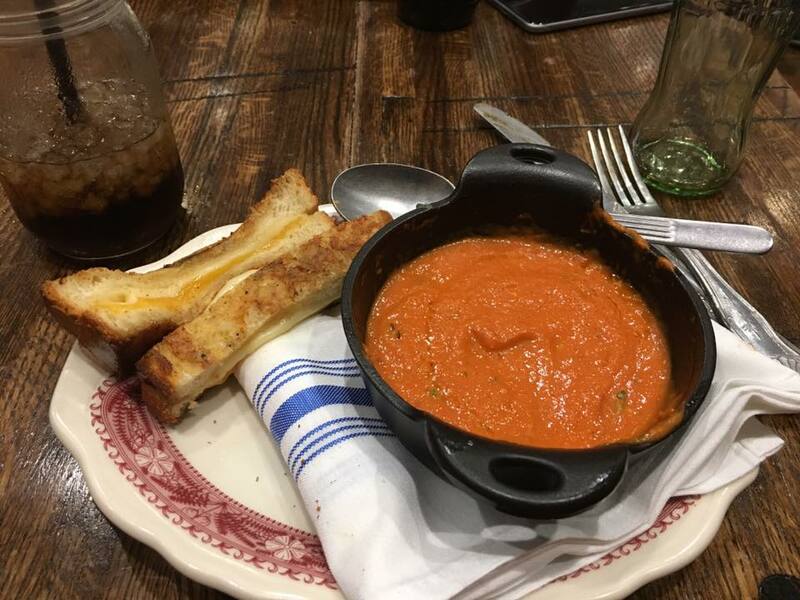 The line to the restaurant was quite long, but the wait was well worth it. While waiting for our table, staff from the restaurant played some fun games with patrons to pass the time. One game had some plastic frogs and small cast iron frying pans. The goal was to get as many frogs into the pan as possible. It was quite windy this particular day and no frogs actually made it into the pan, but it was sure fun to watch. Once inside we were seated at a table where two of the seats were part of a long couch along one wall. Assorted throw pillows supported our backs and frankly I could have sat there all day sipping lemonade and people-watching. Perusing the menu, I had a hard time deciding which of the delicious sounding dishes I was going to try. Prices were very reasonable. Eventually I settled on comfort food. 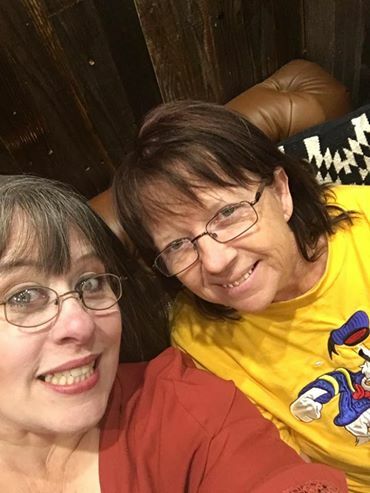 The drive home from Pawhuska was lovely as we passed through many of the small towns along Highway 99 we had never seen. It was a nice way to end a long day. If you get the chance to visit The Pioneer Woman Mercantile be sure you wear comfortable shoes and brings some extra cash. 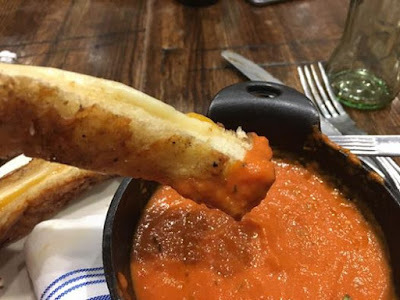 I am pretty certain you will not be disappointed.